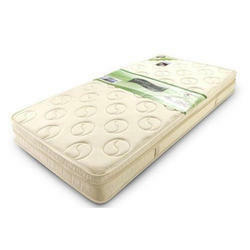 We are counted amongst renowned companies for offering extensive range of PU Foam Mattress. We offer product to our clients in bulk of designs and colors. The offered PU Foam Mattress is easy to wash and resistant to shrink. Customers appreciate us for offering high grade quality and impressive finish. Pads available in Moulded PU foam, High density PU foam, Rubberised Coir foam and Rubber foam covered with superior foam leather water resistant fabric. removable cover with zipper, either 100% cotton or synthetic material in dark colours. We are suppliers & exporters of high quality PU Foam mattresses, Coir mattresses and Jute Mattresses to the valued customers. We have wide collection with different designs & sizes . 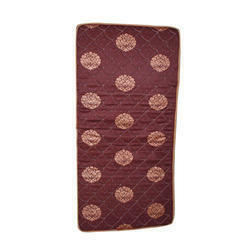 These PU Foam mattresses, Coir mattresses and Jute Mattresses are available at the most cost effective rates. - 1. 1" 75 density latex foam. - 2. 1" 100 density Rebonded PU foam. - 3. 2" 90 density R.C block. In order to keep pace with ever growing demands of customers, our company provides supreme quality range of PU Foam Mattresses. These PU Foam Mattresses are also known as PU Foam Deluxe 32 D. This 100% PU foam medium density mattress provides required firmness and sturdy support. Higher density PU foam block with 10mm quilt available in various standard colors. Light weight and economically priced. Dimension (Length x Width): 72 x 36"
We have gained a remarkable position in the market that is involved in offering PU Foam Mattress.